The Scottish Government has approved an extension of the controversial wild camping ban along the east side of Loch Lomond to other roadside areas in the national park. The ban won't come into effect until the spring of 2017 to allow time for the 'introduction of 300 low-cost camping places through a combination of new and improved camping facilities and camping permits to allow informal lochshore camping at sustainable level'. Camping permits? How ever will these be issued or policed? Unsurprisingly this news has been greeted with dismay by various groups and individuals including Cameron McNeish, The Ramblers,and The Mountaineering Council of Scotland. There's a report with a map of the zones for the camping bans on The Great Outdoors site and other informative reports on Walk Highlands and grough. The proposal to extend the camping ban first came up a year or so ago. I wrote a piece for The Great Outdoors back then which I've posted below. I haven't changed my views since then other than being even more opposed to the ban now than I was then. 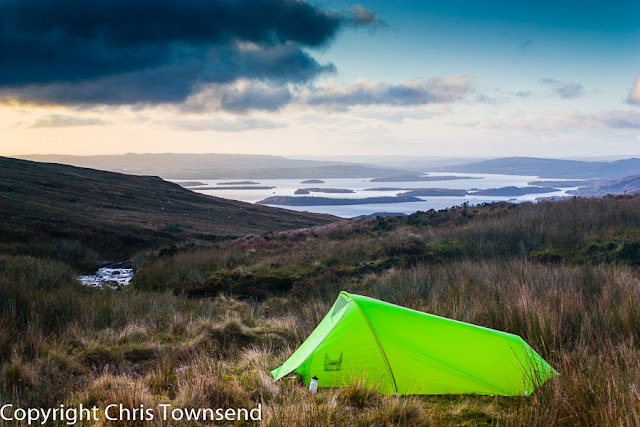 Now that it's going ahead it's a question of ensuring it's not extended elsewhere and that innocent wild campers, such as someone walking the West Highland Way who runs out of energy and just wants to camp quietly overnight, aren't penalised. Just What Is Wild Camping? Defining wild camping may not seem important. We all know what it means anyway, don’t we? To us walkers and backpackers it means camping in wild places away from roads and buildings. But to others it simply means camping anywhere other than an organised camp site. So the people who camp next to their cars on roadsides and leave litter and destruction behind them are described in the mass media as ‘wild campers’. And that gets us a bad name. This came to a head a few years ago on the east side of Loch Lomond. To deal with the problems of car campers causing damage the National Park authority introduced byelaws against ‘wild’ camping along roadsides plus, more positively, a basic campsite. Along with many others I reluctantly accepted the byelaws as necessary due to the vandalism that was going on. Now the issue has flared up again with proposals from Loch Lomond and the Trossachs National Park to introduce similar byelaws in many other areas. This I think is going too far. I also think it needs to be made clear that this is about car camping and not wild camping. Self-propelled travellers, whether by foot, bicycle or canoe, should not be treated the same as car campers. There is evidence that the problems on the east side of Loch Lomond are occurring in other places, both inside and outside the Park, but I don’t think that new byelaws are the right answer. Vandalism and anti-social behaviour is already illegal anyway and anyone involved in such activities forfeits their access rights under the access legislation. Enforcement of the current laws would help reduce the problem without penalising backpackers, climbers and others who just want to pitch their tent for a night and then move on and who leave little impact. A blanket ban puts everyone in the same category and is a crude instrument for dealing with the issue. 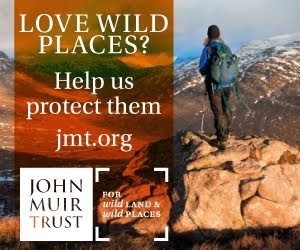 It’s also dangerous in that it could be used by those landowners who would like to ban true wild camping to argue for bans on their land. One proposal from Loch Lomond and the Trossachs National Park that is positive is for the provision of more basic campsites alongside roads in the parks, sites that would have facilities such as toilets and litter bins. In fact it would be good if more such facilities could be provided along roads anyway – not all the litter or used loo paper comes from campers. Creating camp sites has been the answer to similar problems in the past. I can remember when people camped anywhere they liked in Glen Torridon, near the Sligachan Inn on the Isle of Skye, and near the Clachaig Inn in Glencoe. Whilst most of the campers were walkers and climbers and not there just to party there were problems with litter, the lack of toilet facitilies and damage to the ground due to over-use. In Torridon and at Sligachan basic camp sites were set up whilst at Glencoe the National Trust opened a rather grander site some distance away. It’s rare now to see roadside camping in these places. Doesn’t that take away from the pleasure of wild camping though? Isn’t part of the freedom of wild camping being able to just stop and pitch where you like? Here we come back to how wild camping is defined. In my view roadside car camping isn’t wild camping. I would happily use a simple site with facilities designed for tent campers if one was provided. And if not I’d head away from the road to camp out of sight. Well said Chris. I especially agree with your key distinction between car campers and "true" wild campers. 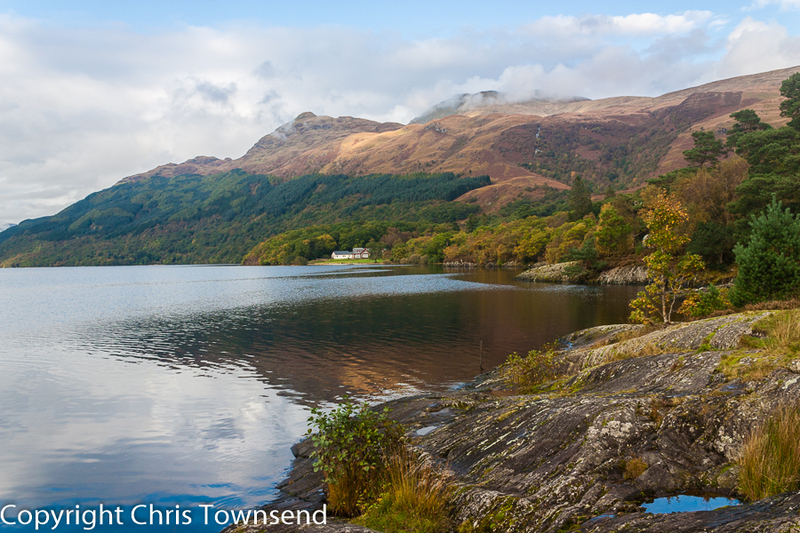 Good piece Chris but latest news is that 30 camping spaces are to be provided - at Loch Chon. Where, you may ask? Loch Chon is miles away from the West Highland Way or Rob Roy Way and is no good for hillwalkers wanting to camp overnight then get an early start to climbing a hill. Loch Chon is only of interest to fishermen. So what about the other 270 promised camping spaces? Well they are not actually camping spaces at all, but permits. 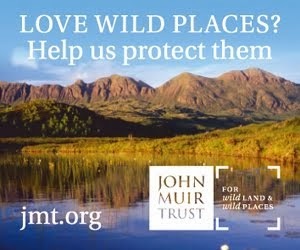 So, we now have a permit system in place in Scotland, achieved through the back door by a discredited National Park Board. I suspect it might not be too long before these people decide we need permits to walk the hills or mountain bike the trails or canoe on the lochs. We're now on a very slippery slope. 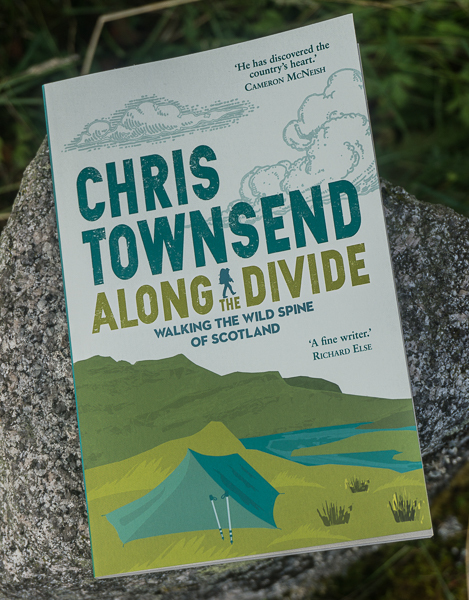 A well writen piece Chris but as i see it and i suspect many others will as well is that you may right of access in scotland but only if you are willing to pay a small price for it . Interesting comments from Cameron who I actually thought was a knowledgeable and reasoned person. Since the byelaws have been announced he has done nothing but whinge and moan without actually coming up with a single good argument as to how to solve this problem. He also makes several rather silly and immature comments such as advising people to break the byelaws (will you be there to pick up the pieces Cameron if something goes wrong? ), state that none of the byelaw areas are covered by environmental designations (I can assure you that they are), blame fishermen for the issues at Loch Chon (categorically untrue) and now moan about Loch Chon not being near the WHW! Extremely disappointing from somebody who seemed to have a good head on his shoulders but is now happy to spit the dummy out when he doesn't get his own way! Who are you Mr Anonymous? At least have the courage of your convictions to put your name to your opinions, as I have.